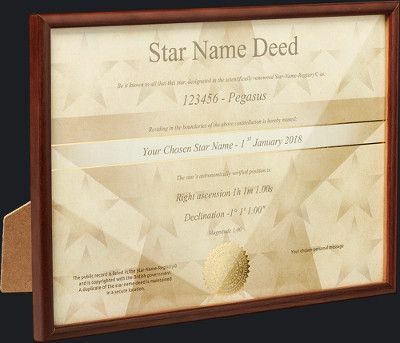 Star Name Deed comes packed in A4 (8.3 x 11.7 inches) wooden certificate frame with glass display dimensions as follows: 8.26 x 11.81 x 0.4 inches. 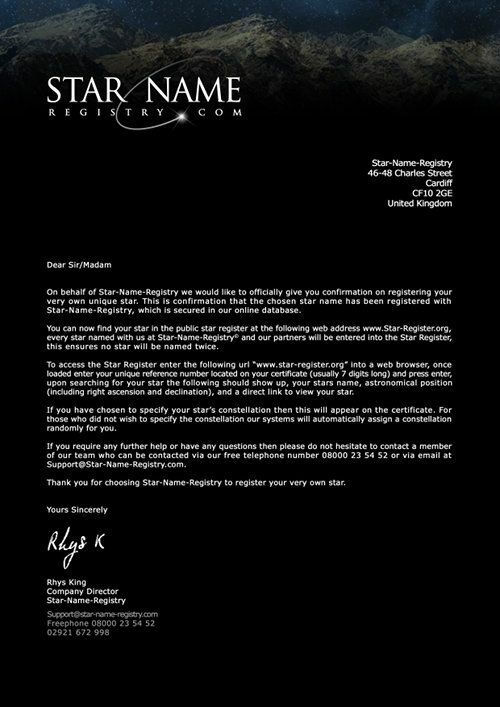 Star Name Deed is A4 (8.3 x 11.7 inches) 160gsm card with official gold seal of Star-Name-Registry. 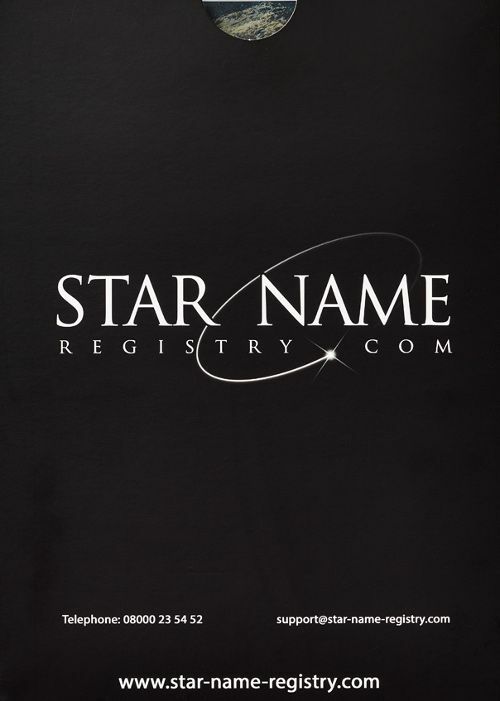 Large Black cardboard presentation box with our logo on the lid. 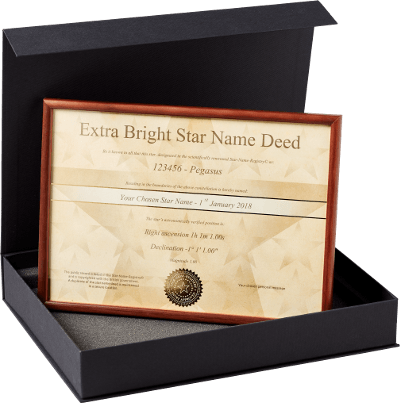 The presentation box protects its contents with shock absorbent foam and magnetic shutters to ensure your certificate and frame arrive in the same condition it leaves our warehouse. 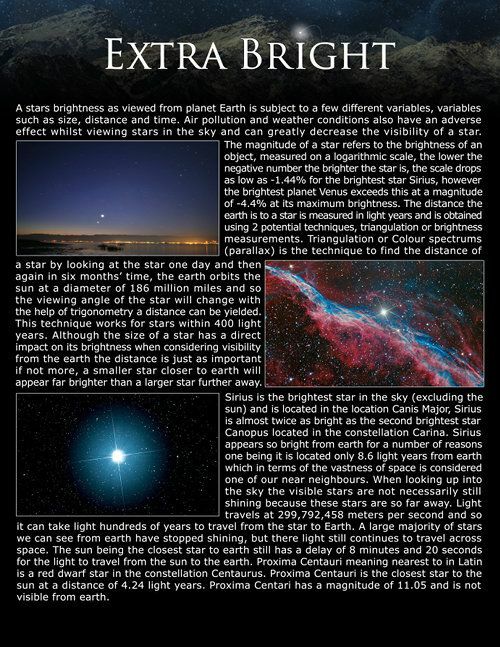 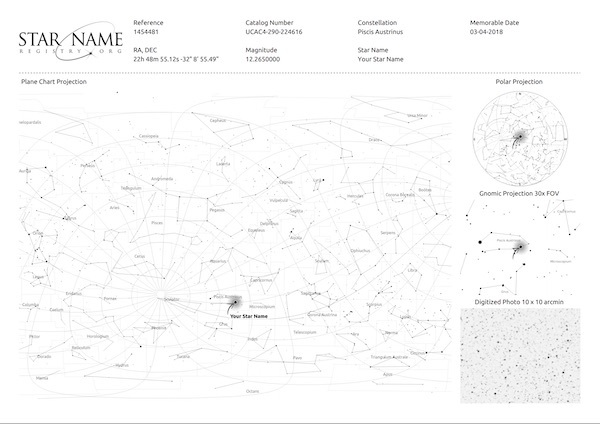 Package packed with A4 (8.3 x 11.7 inches) wooden certificate frame, Star Atlas, Sky Maps, Extra Bright gift explained and downloadable content. 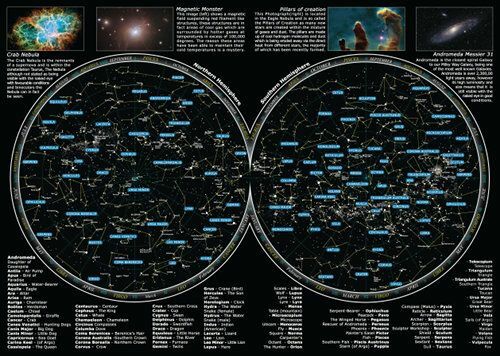 Presentation box is wrapped in bubble wrap to ensure perfection condition upon arrival.